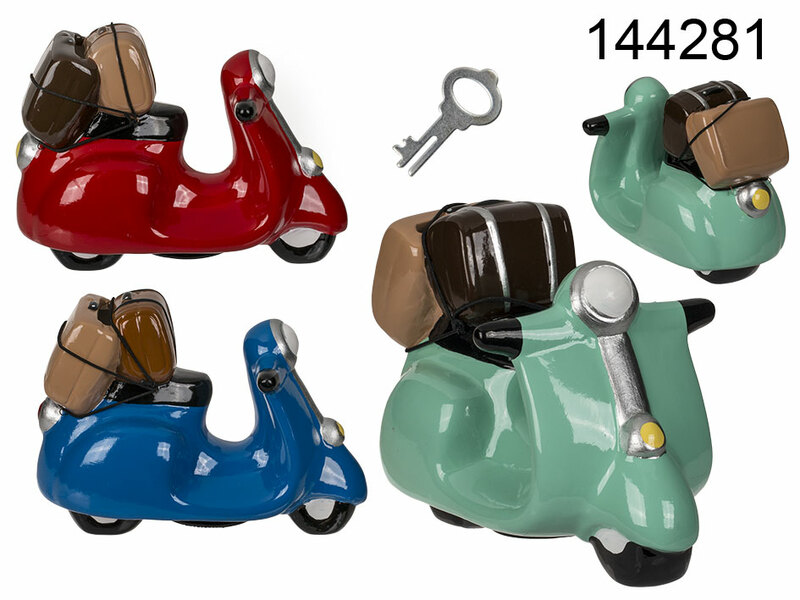 Ceramic money bank in the shape of a stylish scooter. Fun-looking way to save some money on gas or the scooter itself. Or maybe you fancy summer holidays on a scooter? Great way to start planning the trip and check the state of your savings any time thanks to the lock on the bottom. Several colours available - assorted.